Backroads has been in New Zealand for nearly three decades, crafting innovative routes, forging local connections and setting new standards for exceptional service - all with the goal of creating an active travel experience that lives up to the amazing diversity of this beautiful country. Thanks to a resident Trip Expert who's been discovering hidden roads and trails for more than 25 years, our unique biking itinerary explores far beyond the usual tourist haunts. Get to know our New Zealand Bike Tour with this short video by Backroads leader and videographer David Gallego. The trips look wonderful. Would you send me a break down on the prices. Hi Paula — Thanks for reaching out! Our New Zealand Bike Tour currently runs for either 8 or 9 nights (depending on departure date) and costs $5,199 – $5,798 (+$1,200 to $1,310 for sgl. occ.) per person. 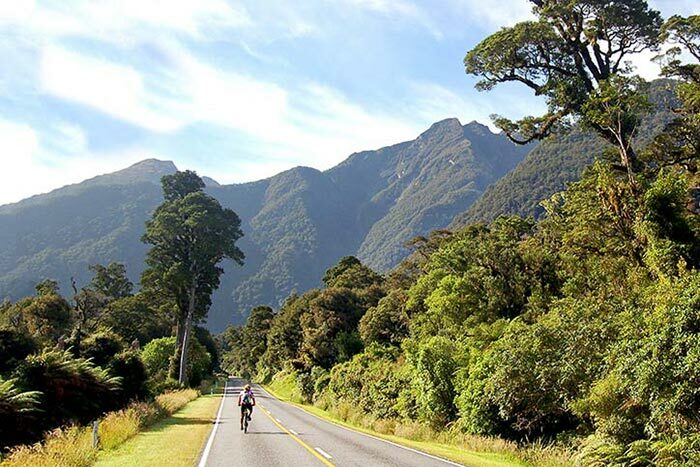 For more information, including specific dates and prices, visit https://www.backroads.com/trips/BNZQ/new-zealand-biking-tour#dates-and-prices or reach out to one of our Trip Consultants at 800-462-2848. We look forward to hearing from you.